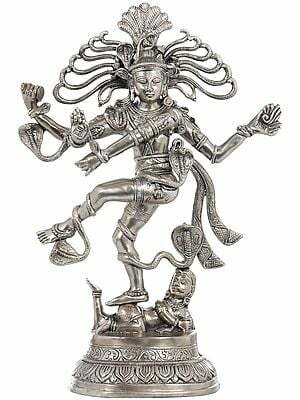 14.0" x 9.0" x 8.0"
Lord Shiva is known for His quick generosity, which has earned Him the epithet of ‘Ashutosh’ or the ‘One who is easily pleased’. 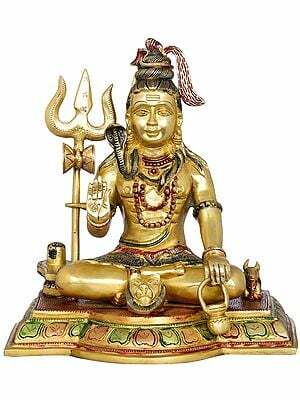 He is said to be extremely swift in handing out boons to devotees who worship Him. 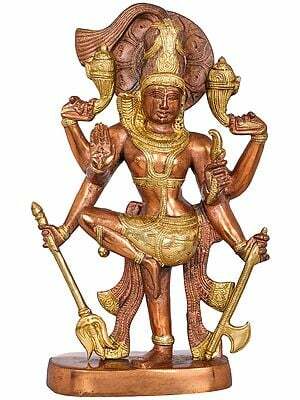 No wonder then that there is a marked affection for this fascinating, unconventional and benevolent deity, amongst a huge part of the human populace. 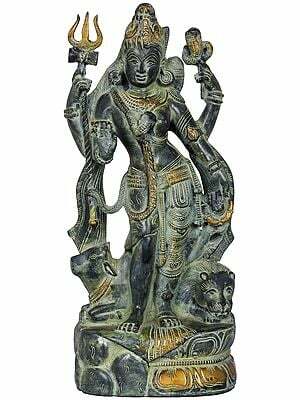 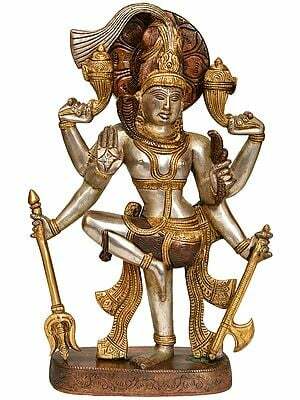 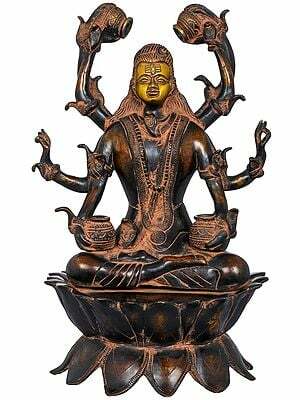 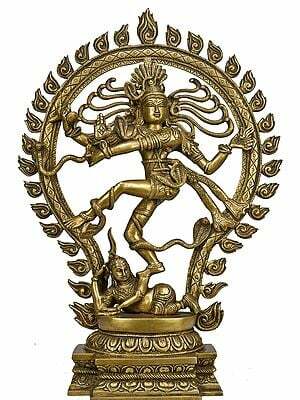 This is also the reason that creating statues of Lord Shiva has been extremely popular with Indian sculptors since time immemorial. 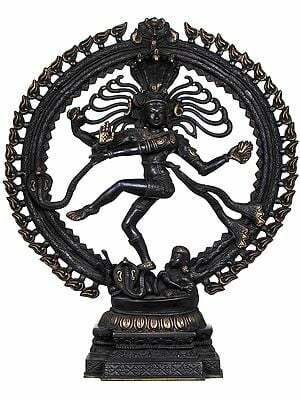 The Indian tradition visualizes Lord Shiva in numerous forms, each loaded with spiritual symbolism. 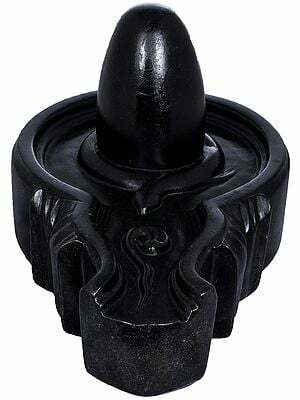 The foremost of all statues of Shiva is the Linga or Lingam. The Linga signifies the cosmic extent of Shiva and its dome represents the infinite sky (shaped like and inverted bowl) above. 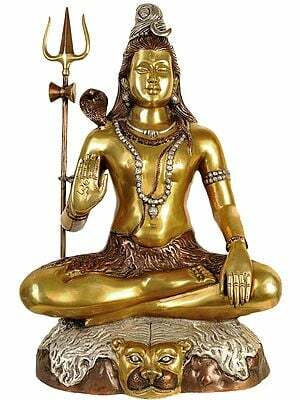 The word Linga means a ‘sign’, though here it has a higher connotation, suggesting that Lord Shiva is beyond any sign, i.e. 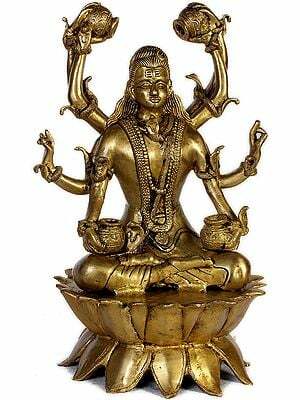 He cannot be represented by any forms and is hence ‘Nirakara’ – the Highest Formless Reality. 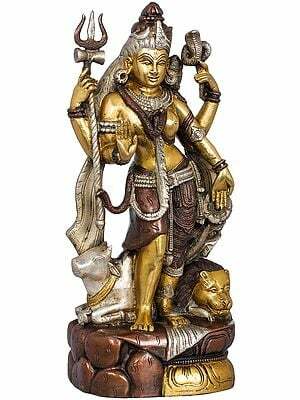 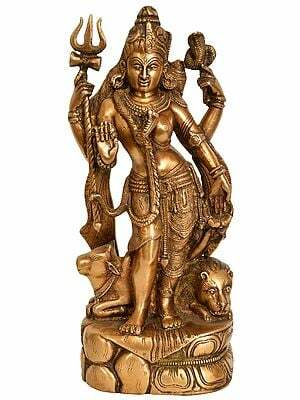 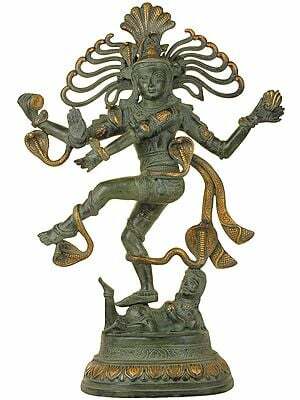 This is also what is signified by His Ardhanarishvara statues, namely Shiva is beyond gender. 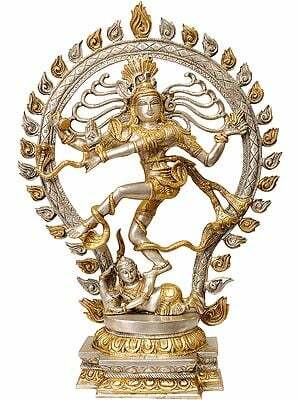 Of course for His loving devotees, Shiva reveals Himself as an ideal householder, for example in the sculptures showing Him with wife Parvati and one or both of His sons Ganesha and Karttikeya. 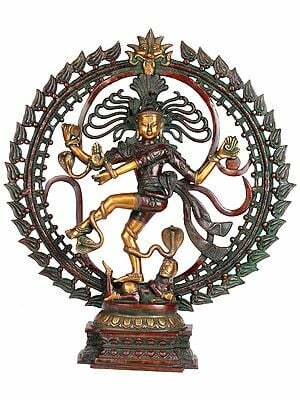 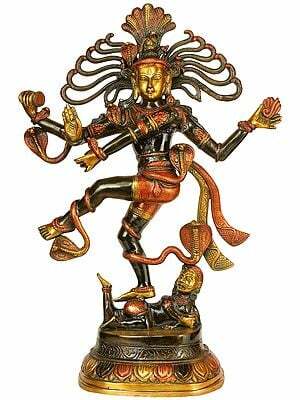 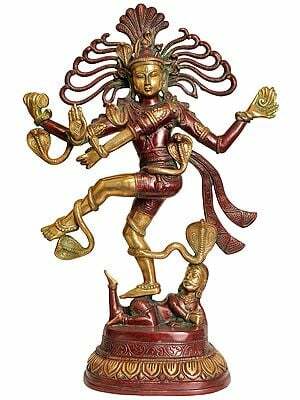 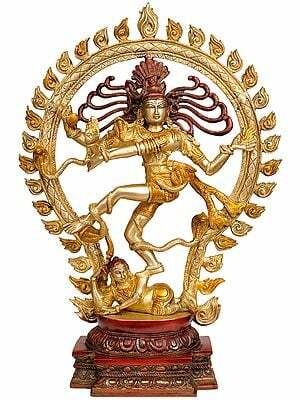 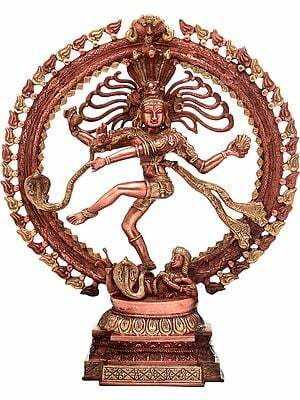 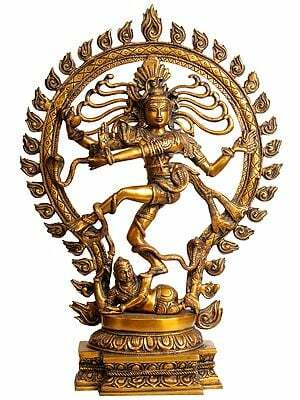 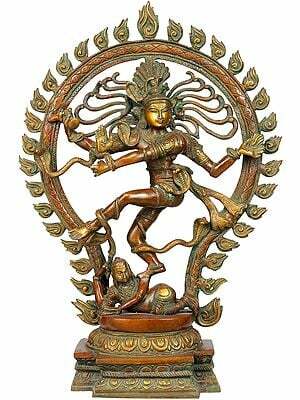 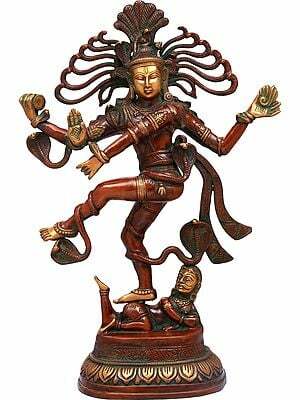 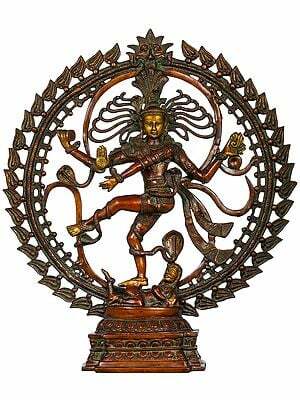 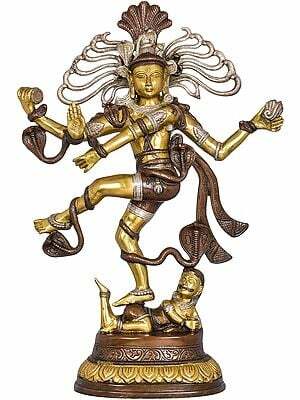 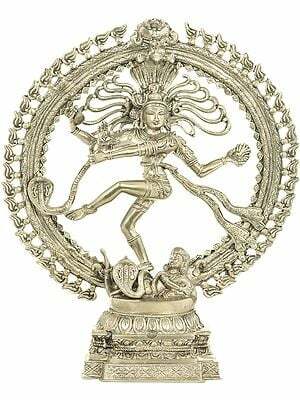 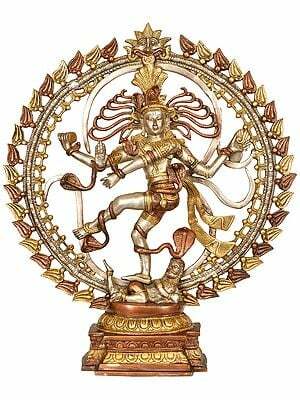 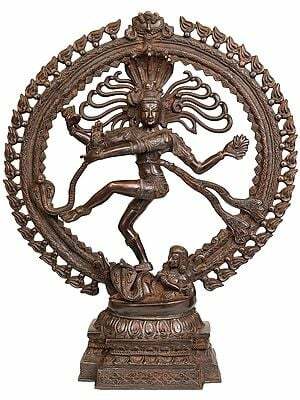 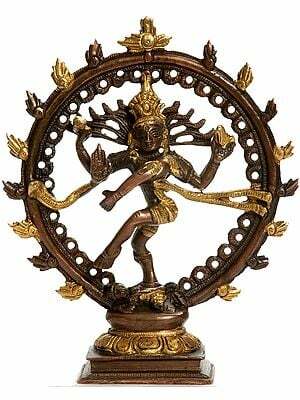 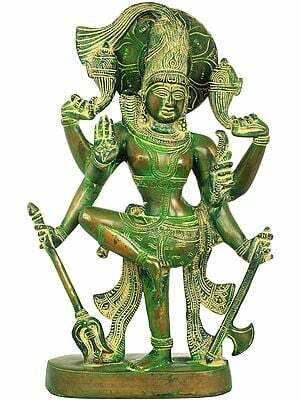 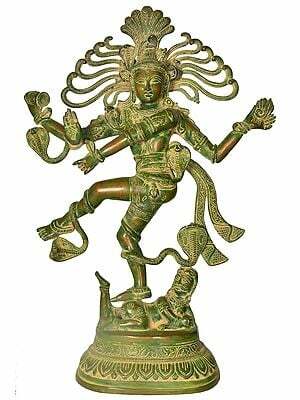 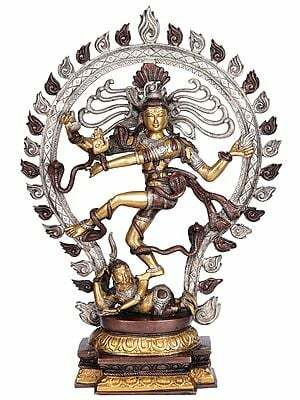 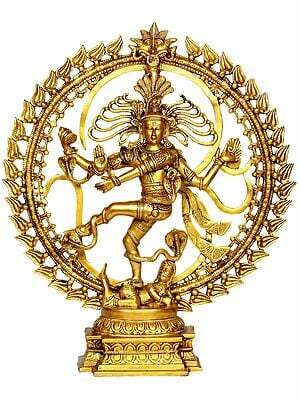 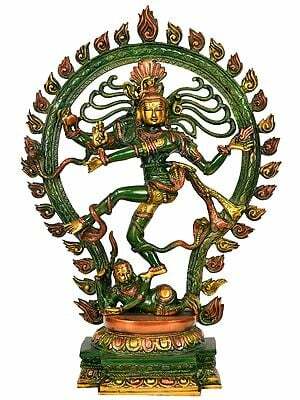 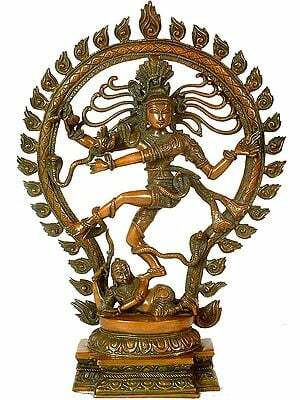 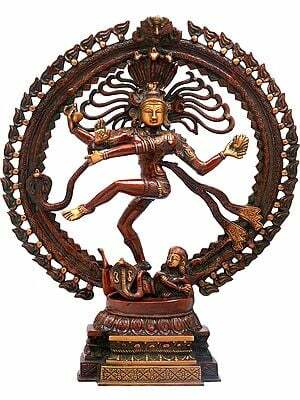 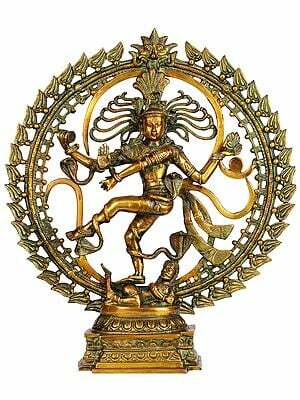 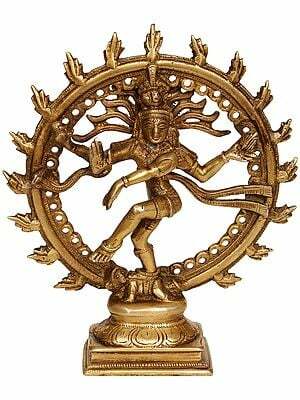 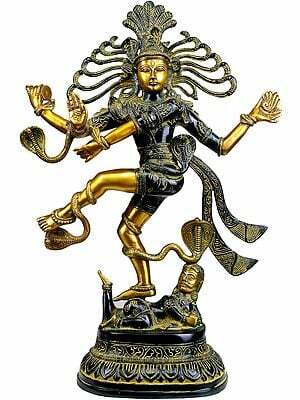 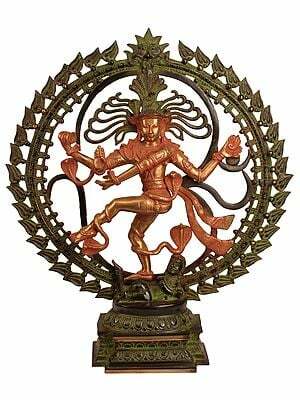 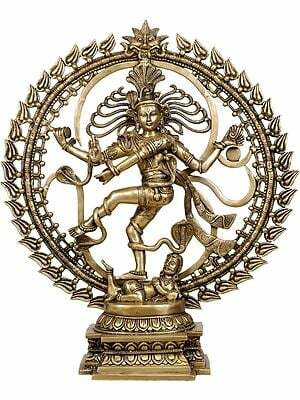 The most popular sculptural representation of Lord Shiva (after the Linga), is of course His form as Nataraja, literally meaning the King of Dancers. 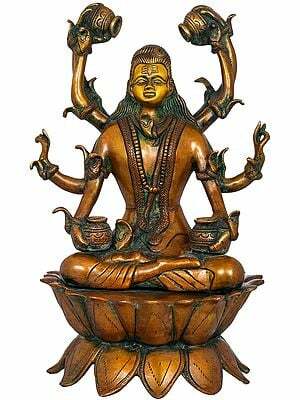 This is a highly complicated composition with each part of the statue pregnant with profound symbolism. 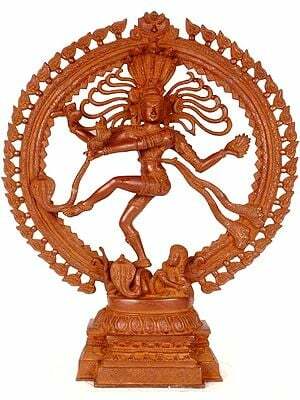 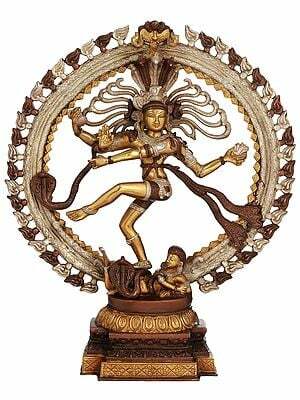 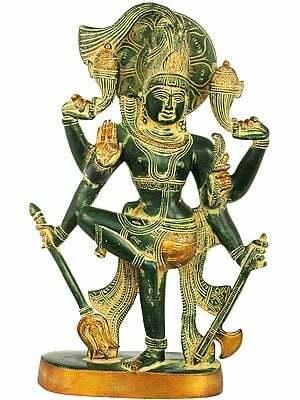 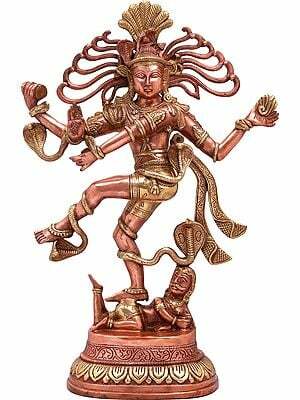 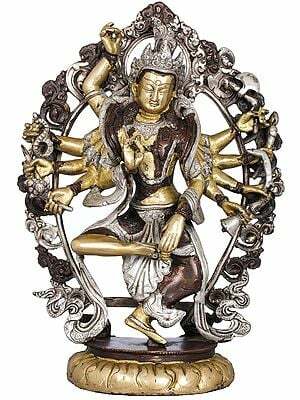 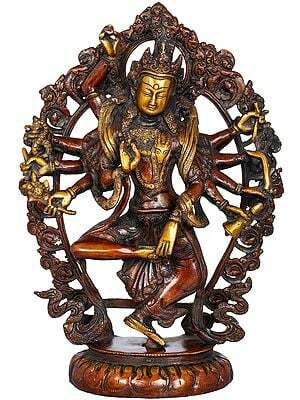 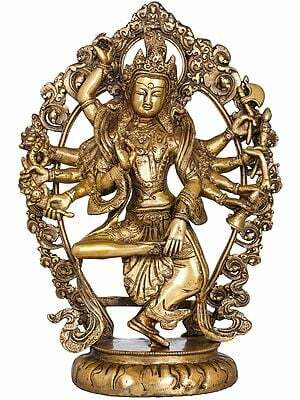 The statues of Nataraja for sale here encompass within themselves the complete cycle of life – creation, preservation and destruction. 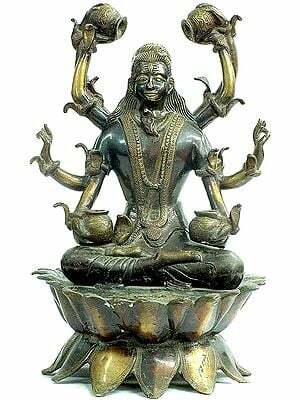 Other popular sculptures of Lord Shiva show Him in meditation; blessing His devotees; as an ascetic wanderer; as the wrathful Bhairava and in his cosmic form as the five-headed Sadashiva. 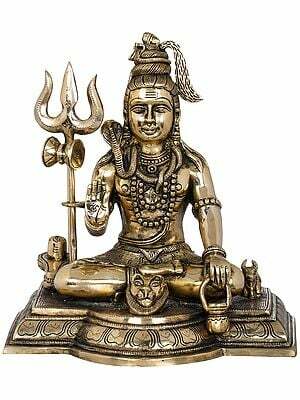 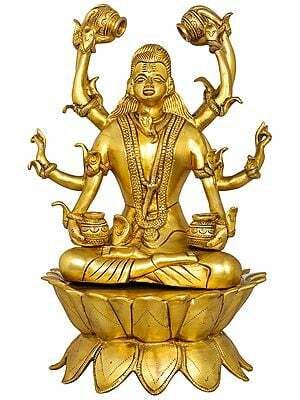 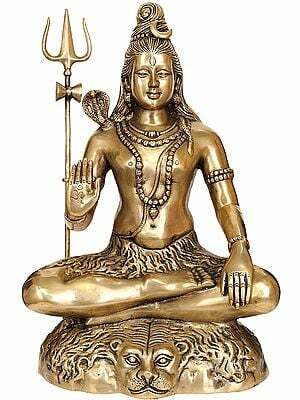 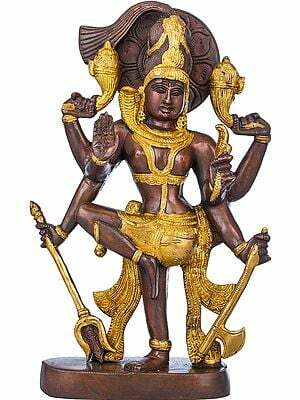 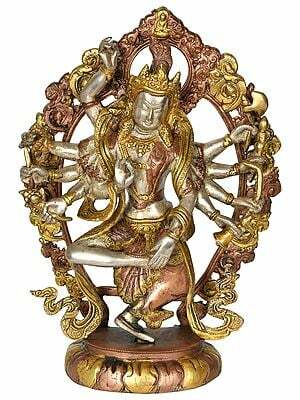 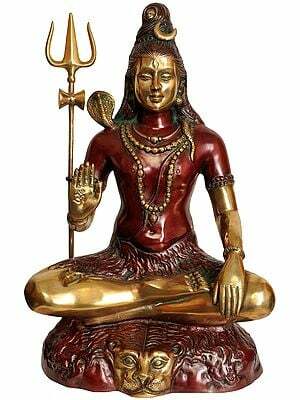 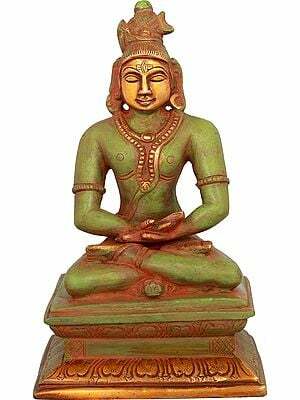 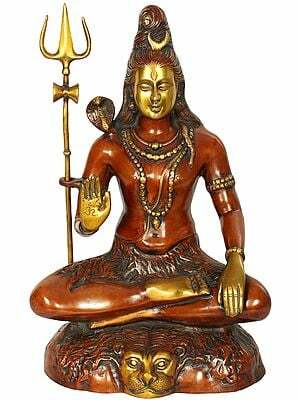 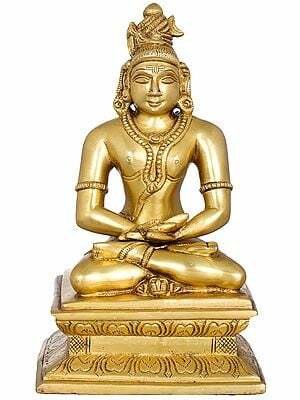 Here you can buy statues of Lord Shiva in brass, bronze, crystal and other gems, marble and wood. 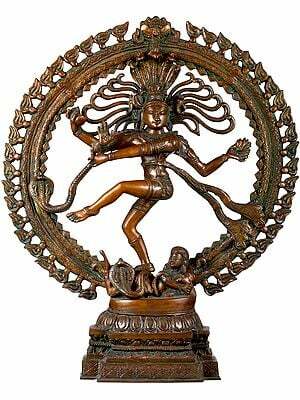 "Shiva's...is the imagery and iconography that evolved over a period of five millennia - perhaps the longest period for an image, or worship tradition, to have evolved and sustained through... Shiva's imagery reveals wondrous unity and unique growth perspective... there is absolute unanimity in regard to the fact that he had iconic presence much before the Vedas came into being... Shiva has been conceived in visual arts as timeless youth, though sometimes with moustaches defining an advanced age and sometimes without them close to juvenescence..."